The new service - backed by Scottish Government funding - will help families reduce costs. A service to help low income families and older people access personalised financial advice has been launched. 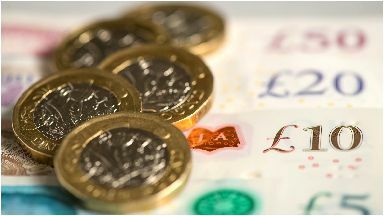 The new Financial Health Check service will be backed by £3.3m in Scottish Government funding over the next two years. It is estimated to provide over 15,000 households each year with advice on matters including reducing household energy costs and accessing grants. It aims to help people avoid the "poverty premium" of paying more for essential goods and services and will be available through a freephone number or can be accessed in person at Citizens Advice bureaus across the country. Communities Secretary Aileen Campbell said: "This is a key part of our work to tackle child poverty and we want to make sure that families on low incomes have the support they need to make the most of their financial situation to avoid paying the higher costs for basic goods and services that low income families can often face. "The health check will cover issues such as access to free school meals, benefit uptake, council tax reduction and cheaper deals on energy and other utilities to reduce household costs." Citizens Advice Scotland chief executive Derek Mitchell added: "Research has shown that around half a million Scots are not claiming all the support they are entitled to. "That means families are struggling to heat their homes or put food on the table while missing out on financial assistance that could make a crucial difference. "This service is all about identifying those people and linking them up with the grants, benefits or support that they need."